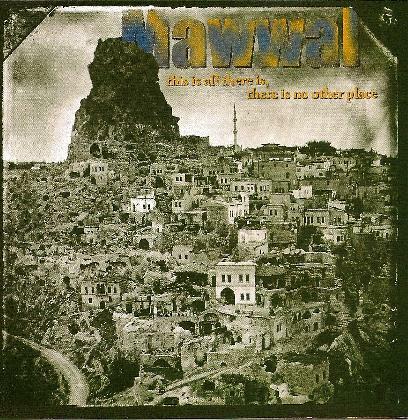 Mawwal - "This is all there is, there is no other place"
All aboard, we are bound for Kabul and the tombs of the martyrs! We are riding the happy bus, the bus of joy, the spiritual bus of freedom, come ye, come ye, our fortunes are blessed on the road to Kabul, the land of the martyrs. The essence of the album leans to traditional Middle Eastern Arabic style and it thrives on the Eastern folk feel. The songs are traditional of the Afghanistan, Pakistan regions and they have been arranged here by Jim Matus, creating a style that pulses energy and radiates warmth and tranquility, forming the heart of the Mawwal sound. This core sound is driven by faultless laouto, saz and mandocello work, accompanied by excellent tabla and violin mastery. The bass and drum work steers the fusion of East and West, and the vocal only edges the compositions further into a cultural understanding, which at times sounds almost Native American Indian to me. There are references in the music to Nusrat Fateh Ali Khan, but only his later work in my opinion is touched upon here, rather than his early concert in Paris era. Nevertheless, this is all there is, there is no other place executed with fine quality of sound and earthy production. The musicianship is excellent and the sound captured perfectly. I however am not a fan of all tracks, but the ones I like outweigh the dislikes. If you want a little bit of Allah in your life, dig yourself right in.